C&F Enterprise Quilts and Bedding | P.C. Fallon Co.
Click here for the page with solid quilt bedding that coordinates with these patterns. Use the links below for more information and to order. Read our decorating tips. C&F Enterprises was founded in Virginia by Carol Fang in 1976. Through hard work and persistence, the company has grown into a multi-million dollar business with over 240,000 square feet of warehouse space located at 819 Bluecrab Road, Newport News, VA 23606. 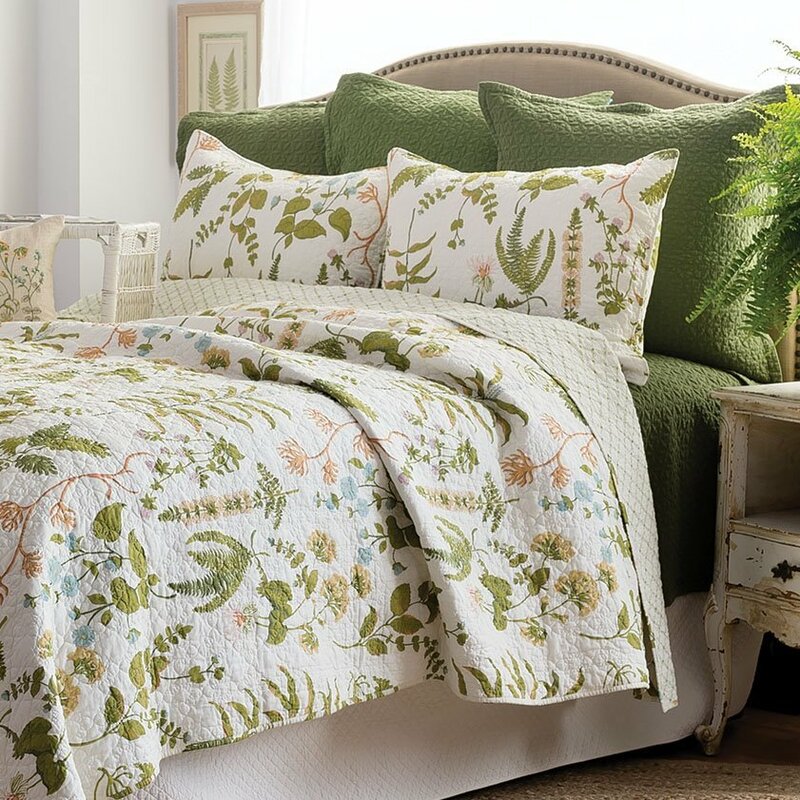 C&F specializes in Home textiles including bedding, quilts, pillows, table linens and more. They are especially noted for their on-trend coastal designs that bring the beauty of the sea into your home. We offer one of the largest selections of decorative bedding in the USA. C&F has top design teams both in the USA and Asia. They also utilize the well known designs of Colonial Williamsburg, Kate McRostie, Paul Brent, Susan Winget, April Cornell, Lainey Daniels, the Hautman Brothers and more. These quilts are not only known for their beautiful designs but also for their value and quality. P.C. Fallon Co. is proud to partner with this manufacturer to bring you these items.